Only doors of the mind open for us now. Sólo puertas mentales se nos abren ahora. 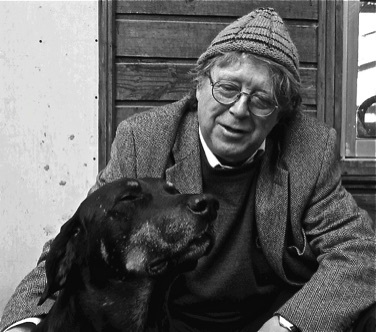 One of the major voices of contemporary Chilean poetry, Juan Cameron was born in Valparaíso in 1947. His poems, which for many years reflected the split reality of living first under a dictatorship & then in exile, have been both antipoetic & lyrical, nostalgic & irreverent: rather than Neruda, his forebears are Huidobro, Parra & Enrique Lihn. Members of his own generation were just commencing their literary careers when the Pinochet dictatorship began. To circumvent draconian censorship laws that forbade any criticism of the regime, they resorted to a coded language that could be understood by anyone familiar with the situation. Not belonging to any official group, Cameron could not earn a living, & after some years of struggle, he emigrated to Sweden, where he remained for ten years. Now back in Valparaíso, he lives within earshot of the creaks of the cable cars, with his wife & collaborator, the graphic artist Virginia Vizcaíno. 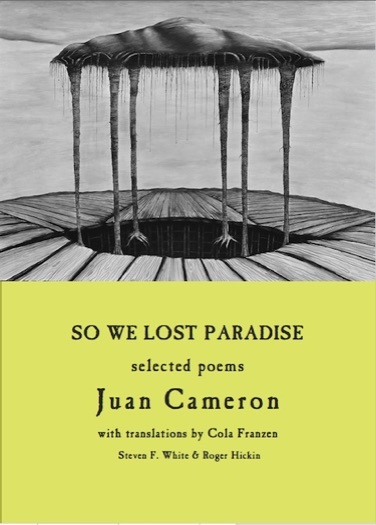 His fellow poet Aristóteles España has described Cameron’s poetry as “a house of memory”, subject to drafts of “Gogolian air”, its obsessional imagery redolent of rain-showers & thunderclaps. Cola Franzen has been named by Christopher Maurer “the most graceful and faithful of translators”. In 2000 her translations of Jorge Guillén's poetry, Horses in the Air and other poems, won the Harold Morton Landon Translation Award from the Academy of American Poets, & her Poems of Arab Andalusia has been described as a literary treasure. Poet in New York, was widely acclaimed. and editor of Cold Hub Press.